Congratulations to Linda McPhail and Charlie Serhan, the 2019 inductees. Look for their coming bios, read more about them in the coming summer iSLB issue and join us in congratulating them at the annual meeting in the fall. If you have suggestions for 2020 nominees, please email us with your ideas! 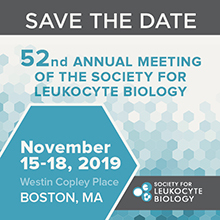 One of the responsibilities of the Awards and Honors Committee is the identification of individuals who should be accorded Honorary Life Members in the Society for Leukocyte Biology as a tribute to their contributions to the knowledge of leukocyte biology. Two honorary life members can be elected each year upon recommendation by the Council to the membership at the annual business meeting. 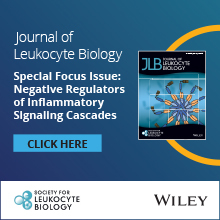 Honorary life members are entitled to all of the rights and privileges of active members, are exempt from Society dues and annual meeting registration fees, are identified as Honorary Members in the directory and receive a free subscription to the Journal of Leukocyte Biology.